What Is Slingo? And Is It As Good As Slots Or Bingo Online? What Is Slingo? And Is It As Good As Slots Or Bingo? 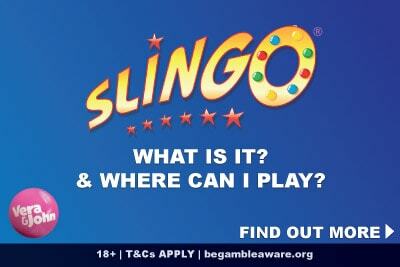 As the name might imply, Slingo is a strange combination of bingo and slot machines online. Here's everything you need to know before you start betting. Slingo is one of those games you either love or have never heard about. 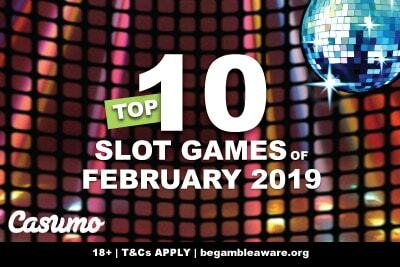 Because the gameplay is compelling, and the wins are genuinely decent – not like bingo prizes where jackpots are your only chances of winning big. The reason why you might not have heard about it is simply that not many online mobile casinos have them on offer. It’s only been available online in the UK, for example, since 2015 and the rest of Europe is only now slowly getting introduced to this new type of casino game hybrid. Well, Vera and John have added the whole collection of Slingo Originals by Gaming Realms, so we thought it would be as good a time as any to figure out what these new style of casino games are all about. What do you get when you cross bingo and slots? Slingo, of course! It’s been around since 1995, but you could only play it for fun, not for real money. That changed when Gaming Realms got the rights to the game in 2015. There are two versions of the game. You have the multiplayer Slingo Boom slot, which is like 75 ball bingo, but with lots of player chat and just crazy fast gameplay. What you’ll mostly find now are the single-player versions, and what we’ll be talking about. Depending on how you look at it, you are basically spinning a single reel slot machine with a bingo paytable. It’s not that the multiplayer version isn’t fun, but once you know how to play real money Slingo Original games, you can move on to the more fast-paced social version. 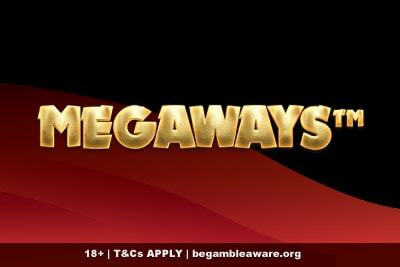 Well, like most casino games and fruity slots, the aim is to complete win lines and win the amounts on the paytable. When you open up a Slingo machine you’ll be greeted with a 5×5 bingo card. Below the bingo card are 5 reels, but only one row high. You play Slingo by paying for a fixed number of spins on that single reel – usually a maximum of 15 or 20. However, only the first 11 or 16 spins are part of the package, the rest you either get using free spins or cashing in points. The point is to match as many numbers as possible on the bingo card above using the most spins. Unlike slot machines where the symbols on a payline determines how much you win, here the lines in the bingo table will determine how much you win. So as you reveal numbers on the spinning reels, you mark off those numbers on the bingo card. You create a Slingo by completing a vertical, horizontal or diagonal line on the grid. The more Slingos you get within your fixed number of spins, the more you win on the paytable. Numbers aren’t the only symbols you’ll find on a mobile Slingo game. Jokers: Are wild and can be used to mark off any number on the column it appeared. Super Joker: These work like the joker, except they can be placed anywhere on the board. Cherubs: Frequently appears and cancels the devil’s effect by shooting it with an arrow. Coins: Automatically gives you extra points and triggers free spins. You usually have a time limit on how long you can take to place your jokers, so be sure to keep a track of the game. Unlike a slot machine, you can’t just put it on auto-spin and walk away. How much can I bet on a Slingo machine? The one thing that stops many people from trying a game is affordability. If you are used to playing on 0.10 slots, heading to a 5.00 minimum bet on a live roulette table. Thankfully there are enough Slingo machines with enough variations in betting to be able to suit most budgets. 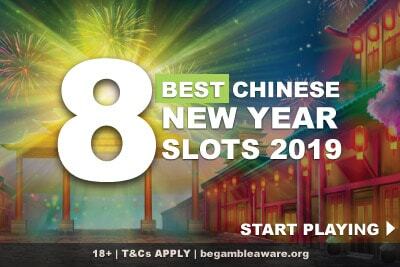 Remember, gamble responsibly and only within your budget. Most Slingo betting ranges vary from a minimum of 0.50 up to a maximum of 100. Some go as low as 0.10, some as huge as 200, but they are the exception to the general rule. See? Plenty of choice for the discerning Slingo players. One last piece of advice though: make sure you take a look at the paytable. If you are a total beginner, choose one where you get paid for one Slingo win. Some will only start paying if you get 4 Slingos or more, some have jackpots, some are more volatile than others – much like real money slot games. Where can I play Slingo online? We started this whole post with a clue as to how we are going to end it. We only got interested in this game when one of our favourite casinos got the whole range of games added to the mobile casino site. As we write in our Vera and John casino review, they are one of the best gambling sites around, with fast cashouts, fair terms, a decent bonus, and more games than you can play in a lifetime. They are one of the few sites out there with a decent selection of this one of a kind bingo and slot cross. If you are looking for something a little different today, you know exactly where to go. And if you don’t they still have over 1,000 slots to gamble on if you want to go back to playing on something a little more traditional.